Geothermal energy refers to the internal heat energy of our Earth. Our planet is composed of four layers, which are the crust, mantle, outer liquid core, and inner solid core. The core is very hot, even hotter than the surface of the Sun. It has a lot of heat energy. This heat was trapped in the Earth during its formation will remain there for billions of years from now. 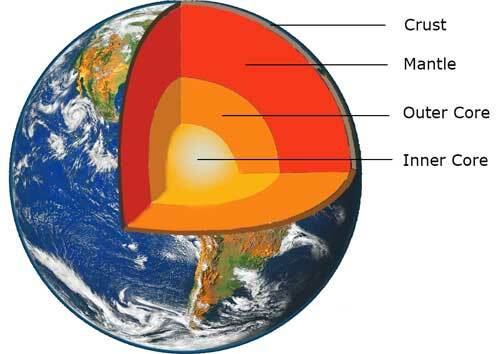 All the other layers of the Earth are heated by the core. 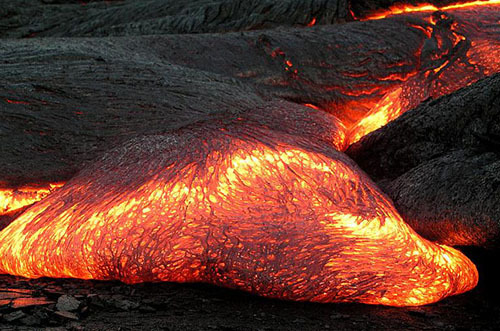 Sometimes this geothermal energy comes to the surface in the form of Lava or hot water geysers. This happens due to the high temperature and pressure reaching near the surface. Which shows that our Earth has a lot of heat energy, just buried under our feet. Therefore, we can utilize this energy to face the demands of the rising energy consumption. Geothermal energy is considered a renewable energy source because it is constantly renewed by the core of our Earth. So, harnessing heat from the Earth has the negligible effect to its overall heat. Geothermal energy can be used directly without the need of any special device. This is done with the hot water springs, in which water is heated naturally with geothermal energy. This hot water can be used for heating houses and buildings. This method of heating is not new because Romans have using this method for heating their public baths. The best way to utilize the geothermal is to use the heat pumps. A heat pump is a device that can transfer heat between any two materials. Earth has the constant temperature of 50F, few feet below the ground throughout the year. Heat pumps are used to take the advantage of this fact.Heat pumps use the water to pump it through the tubes that are buried in the ground at some depth. When winter arrives, the heat from the ground is transferred by the heat pump to homes for heating purpose because the surface is colder than the ground in winter. In addition to the heating, heat pumps are also used in summer for cooling purpose. Yes, Cooling! Because in summer the temperature of the ground below the few feet is constant at 50 F. whereas, the temperature of the surface goes above 50 F in the summer. 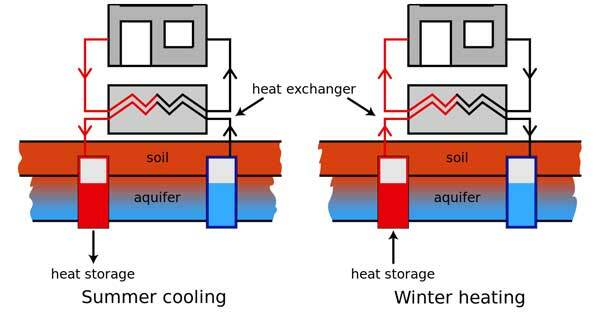 So, heat pumps transfer this extra heat from houses to the ground and houses become cooler (as shown in the above image). The most useful way to utilize the geothermal energy is to produce electricity from it. Many countries around the world are producing power with the geothermal energy in their power plants. Among them, US is the leading in the generation of power by this method. To generate the power from geothermal energy, power companies first find a site where the Earth is hotter below the surface. Then, they drill holes few miles below in that site to reach the region where water is super hot, which readily becomes steam when released. This steam is used to drive turbines to produce electricity in the power plant. 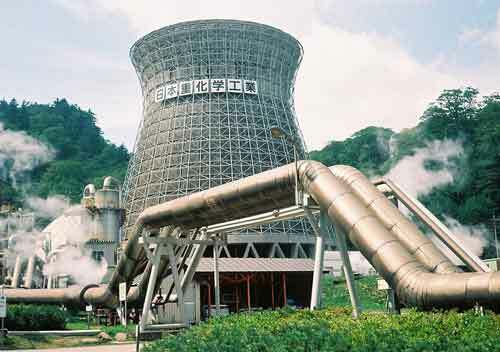 These power plants are called dry steam power plants. Geothermal energy is environment-friendly. It doesn’t produce any fumes that can pollute the atmosphere to cause harms to the living things. It provides constant power generation because it is available all the time. It can replace fossil fuels for electricity generation for further saving the environment and reducing the effect of global warming. Since it is available everywhere, all the people around the world can use it in their homes for heating. It is very costly to build a geothermal power plant for producing electricity as compared to the other power plants that use fossil fuels. There is a risk for the power plant to run out the steam obtained from a great depth. There is a risk of toxic gasses that may be released during the drilling process. These gasses can harm humans, animals, and plants that living closer to that area. Abdul Wahab, "Geothermal Energy," in Science4Fun, April 13, 2019, http://science4fun.info/geothermal-energy/.